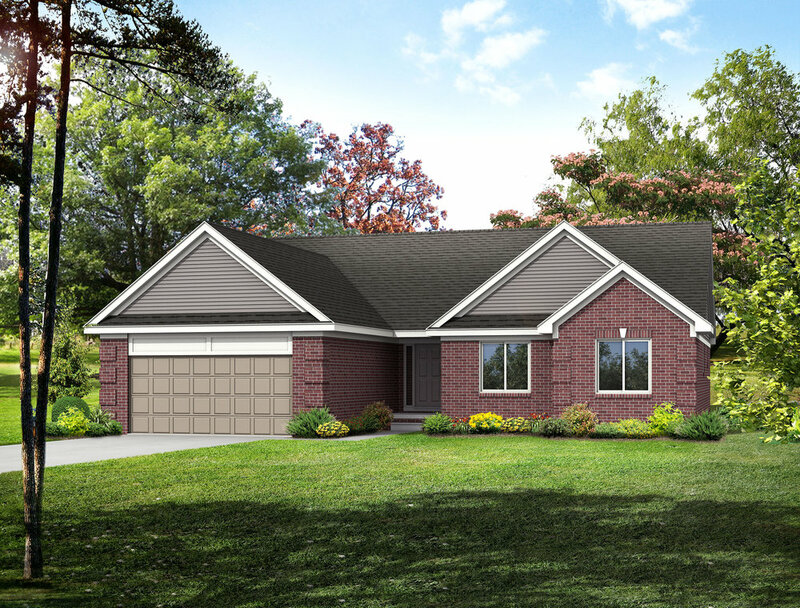 The Ponderosa is our popular, time-tested classic take on a ranch home for those that crave a simpler time, but make no mistake about it, there's nothing simple about its features. Single Story Ranch | 3 Bedrooms | 2 Bath | 1,800 sq. ft. The Ponderosa Master Suite is impressive, featuring a huge walk-in closet and an even larger master bathroom with tile shower. You’ll also have the option for cathedral ceilings. So on those days that you just don’t feel like leaving the bedroom, you’ve got everything you need. The Ponderosa features a large kitchen with an optional bay door wall-in dining nook and a vaulted ceiling. Our standard flooring package includes wood laminates in the kitchen, dining room, and foyer. While many traditional ranch homes only have two bedrooms, the Ponderosa gives you 3 spacious bedrooms, so you’ll have plenty of options - A nursery, a den, an office, or if you’re feeling brave, a man cave. This is just a taste of what your future home could look like. The Ponderosa can be customized to fit your lifestyle and wishlist. We’ll sit down with you and go over your dreams for your future home, and see if we’re a good fit. There’s no obligation on your end.